Introduce your students to the magic of stories—delivered through educational case studies that will help you put science into vivid context. Start With A Story offers an abundance of strategies, tips, examples, ideas, and resources to free your students (and you) from dry lecture formats. 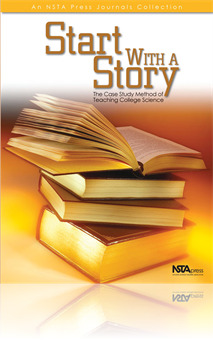 Start With A Story is a collection of more than 40 essays published primarily as columns in NSTA’s member publication, Journal of College Science Teaching. The collection examines every aspect of the case study method.